6-issue miniseries reuniting one of the great Batman creative teams of the 1970s! 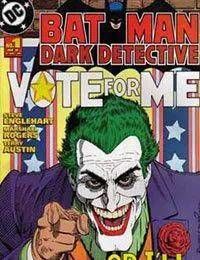 In DARK DETECTIVE, The Joker enters a gubernatorial election using the campaign slogan Vote for me or Ill kill you! Will it persuade voters?